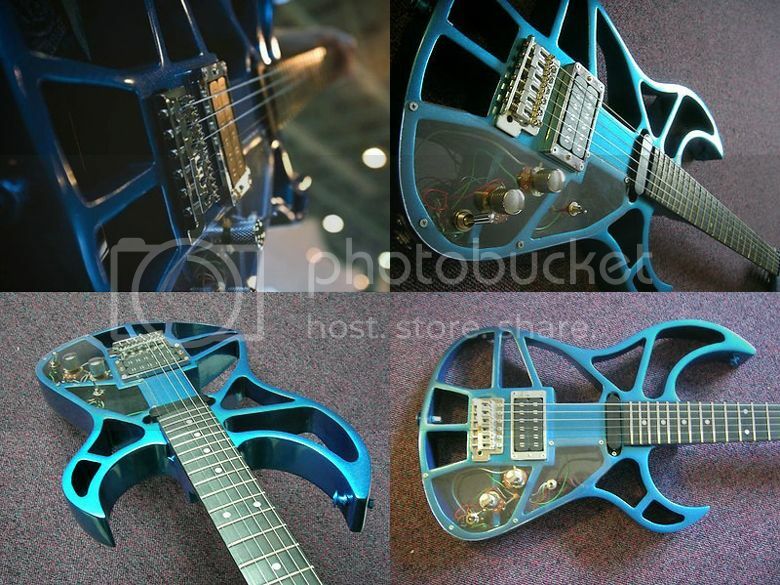 Here's another one-off made aluminium-bodied guitar, although this time instead of the body having been milled out of an aluminium billet, it has actually been cast, liquid metal being poured into a wooden mold, the resultant body sandblasted and finally powder coated. The holes in the latice-like body have a three-fold purpose: (1) they are decorative, (2) they keep the weight down, and (3) they provide an instant cavity into which to install the guitars electronics. The shape also features some quite enormous almost Burns-esque body horns. 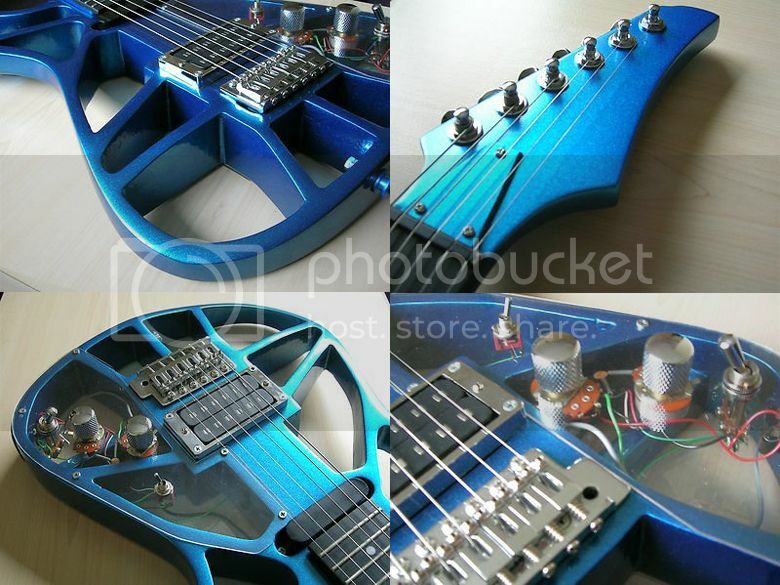 The guitar has a Fender-like 25.5" scale length, a wooden neck and coil tapping circuitry for the pickups. Currently listed on eBay UK with a Buy It Now price of £1,399.99 - sale set to finish in just over 14 hours from the time of writing.